Northern California Shambhala Raised over $50,000 this year. I am delighted to announce that we met our 2017 goal of fundraising $50,000 to support our regional centers, staff, and operations. Donations online and in person at our Moon of Kindness Winter Weekthun helped to nudge us over the finish line on January 1st. Many thanks to all of you that were able to donate and support our centers and community financially. Such generosity rouses the energy and resiliency that is needed in these times to offer the Shambhala teachings of basic goodness and enlightened society. This operational fundraising allows us to continue to offer in 2018 the fundamental services and the impactful programming that marked 2017. On any given week across northern California, there are over twenty opportunities at seven Shambhala locations to receive meditation instruction on a donation basis. Our spaces are places of reflection and community where hundreds of people each year are able to feel their humanity, connect to their hearts, and open to community. This July, we hosted over eighty participants from across the country for an urban Enlightened Society Assembly, where students commit themselves to the path of creating good human society and receive teachings and tools to support them on that journey. And this past week over seventy people participated in a community retreat focused on creating a culture of kindness based on a new practice by Sakyong Mipham Rinpoche. Neither our beautiful meditation rooms and community spaces nor our hardworking core staff would be able to manifest without the financial and volunteer generosity of so many people. Thank you for all of your support. 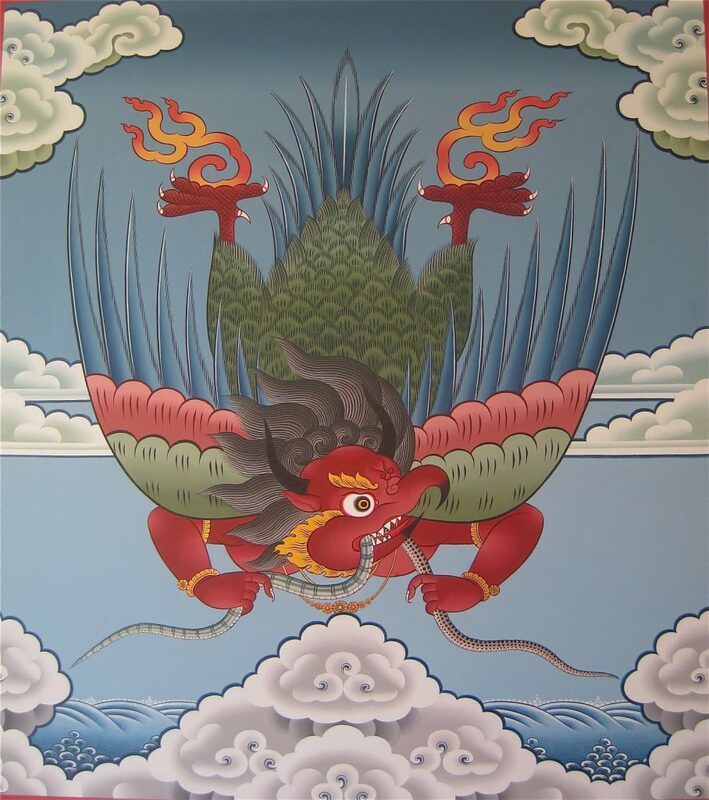 The garuda is a symbol of dawn, awakening, vast space and intelligence. It has total perspective, a fresh mind that cuts through concept with a “self existing sword.” Enhanced by the element of fire, it expresses inner warmth and insight. It is an especially good year for projects requiring hard work, insight, focus, and love. So far, this Year of the Firebird we made two major initiatives. We are now incorporated as Northern California Shambhala, Inc. creating a strong, unified financial base. This will allow us to collectively purchase property in the future. Also, we hosted the first urban Enlightened Society Assembly in North America. This fundraiser will assist with general operating costs including helping our centers meet high Northern California rental fees. Going forward, we are also investing in two staff positions to create the largest growth potential for the region. Kate Raddock has taken her seat as Director of Programming for the region and the new Regional Director of Communications position will be filled this fall. Through producing exceptional programming and spreading the word about these programs far and wide, we can increase revenue through increased attendance while continuing to keep operational expenses low. Northern California Shambhala already has experienced the effectiveness of this approach with a successful Enlightened Society Assembly in Berkeley this summer, and we look forward to further growth in 2018, once this strategy is fully implemented. Make a donation to our Fall Fundraiser using one of the buttons in the sidebar. They will connect you to PayPal.